Win an iPhone 4 in a Party Poker Freeroll make your first deposit before the 30th November 2010 and get a free entry into the weekly Win an iPhone 4 freeroll. Each week players can win 1 of 8 iPhone 4 prizes, new players will also be eligible to play the weekly New Player $1.5k Freeroll tournament on PartyPoker every Saturday. 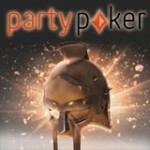 Make your first deposit on PartyPoker and enter the eight freeroll tournaments which has an iPhone 4 as the first place prize, the faster you sign-up the more freerolls you can play before the 30th November 2010. 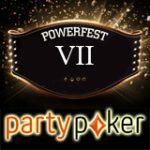 There is a total of 8 iPhone 4 and $200 in cash prizes for the top 10 players to be won in the weekly Party Poker Freeroll. 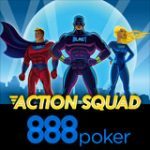 The winner of the freeroll tournament will win an iPhone 4 or the cash alternative player in the top 10 places will share $200 in cash prizes. All new players who make their first deposit at Party Poker can enter the weekly $1,500 Party Poker freeroll which takes place every Saturday. 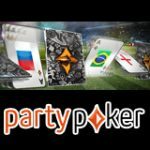 The Party Poker Freerolls are located in the lobby under the freeroll tab, players must manually register for each event, depositing players can enter these tournament for the next 60 days. Please note that the tournament is limited to 5000 players, register early to avoid disappointment. 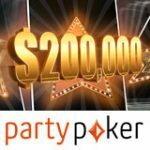 PartyPoker host daily freeroll tournaments which are only available to players who have made a deposit, there is more than $20,000 in freeroll prize pools every week and up to $100,000 every month. 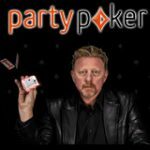 Become a real money player by depositing at least $25 to access all the Party Poker freeroll tournaments plus a deposit bonus up to $500.